Mould Design is a specialised discipline, comprising product analysis and a detailed knowledge of materials, manufacturing procedures and methods. Tool design is also a vitally important part of the injection moulding process, as the way a product is injection moulded will affect strength, quality and durability. For example, intelligently managing the way a product cools in the mould will prevent distortion and keep manufacturing tolerances tight. 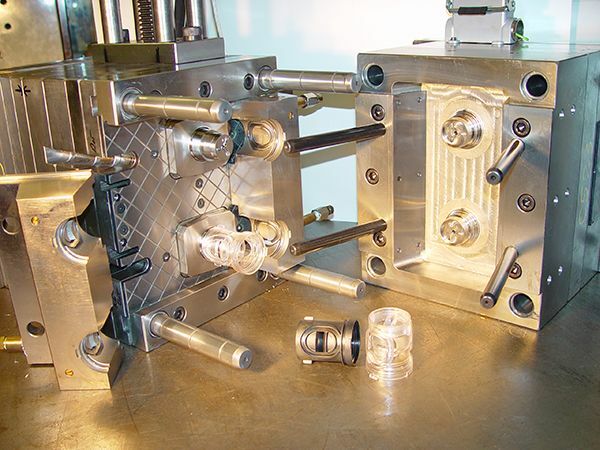 Ensuring your product is ‘Designed for Manufacture’ and procuring the best possible injection mould tool can make all the difference to product quality, manufacturing speed, unit cost and manufacturing productivity. Therefore A K Industries provides exceptional design support and will also project manage the injection mould design process on behalf of our customers. This means that our extensive skills and experience are on-hand to support you through the tooling design and procurement process, and gives you one single point of contact. At A K Industries we understand that at the heart of any successfully moulded product is a high-quality injection mould tool. In placing your tool with us you will be able to reap the benefits of partnering with a manufacturing company who takes pride in the through-life engineering of our customer’s tools. We are also able to offer a Planned Tooling Maintenance service, whereby there are three different levels dependant on our customer’s product and the complexity of the tool. In all service levels standard components such as screws and “O” seals will be included in service costs. All other replacement parts will be an additional cost, this will be advised prior to procuring or starting manufacture of the parts. A K Industries’ higher level engineering service for our customers has the benefits of being cost effective and ensures that your assets are extremely well cared for.